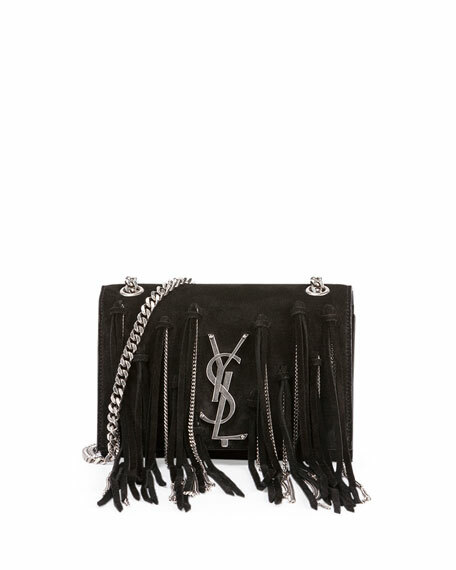 Saint Laurent suede shoulder bag. 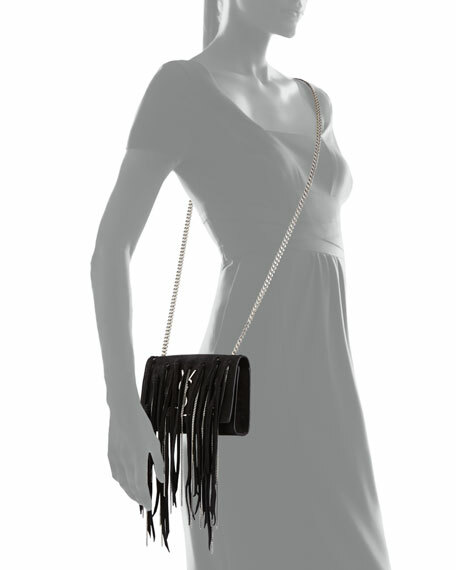 Chain and suede fringe on front. 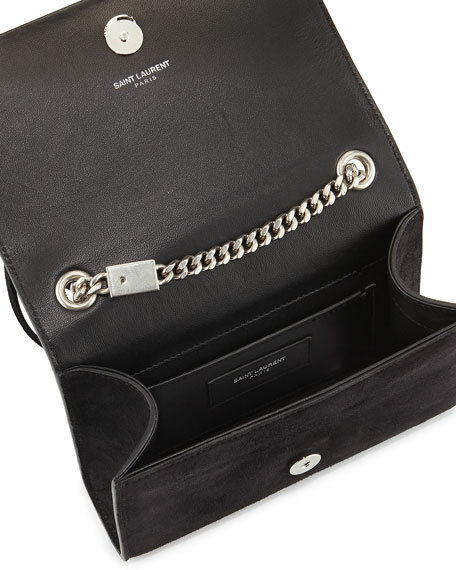 Curb chain shoulder strap pulls through grommets on top. 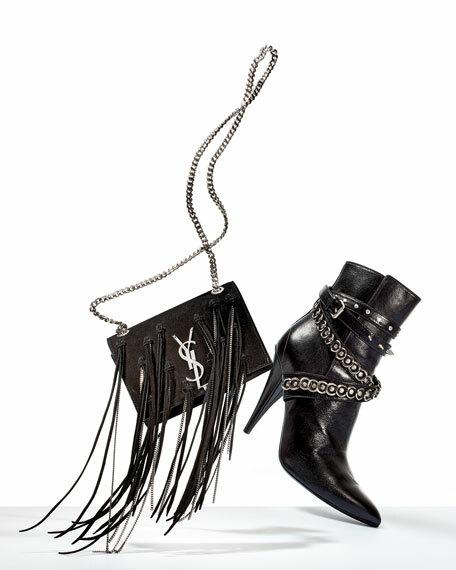 Signature YSL logo plate on front. For in-store inquiries, use sku #283731.